If you are looking for the best compact flashlight, you need to bear in mind that there are some very specific things you will want to look for. Just like with any other flashlight, the last thing you want to do is just pick the most powerful compact flashlight on the shelf. In order to purchase the best compact LED flashlight you will need to pay attention to the fine details because that is what is going to allow one to stand out from the rest. 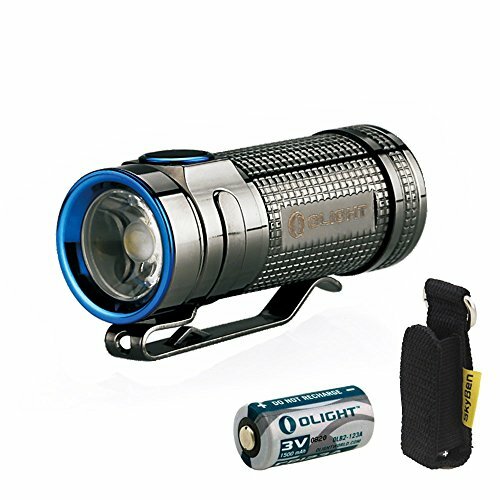 When looking for the best compact flashlight one of the things you will want to look for is what style of switch they offer. Having one switch over the other doesn’t mean one is better than the other; switch type is all based on personal preference. For those looking for the best compact tactical flashlight tailcap switches are often preferred over side switches or a twisting head. Some other things to look for are a sturdy pocket clip, a thin profile, and its overall size, as these will both aid in carrying the flashlight around. Looking for keychain holes is also recommended as it ensures you always have the flashlight with you when needed. When it comes to compact lights people often think that the best ones are not going to be the brightest compact lights because of their small size. Many people mistakenly assume that if the light can fit into your pocket or be carried around on a key ring then there is no chance for it to be a bright compact flashlight. However, that is not the case at all; some of the best compact flashlights can reach 1000 Lumens for a short amount of time. So, what you want to look for in compact flashlights is how much power they have to ensure they will be bright enough for what you intend to use them for. The style of batteries used should also be taken into consideration. Like many other flashlight styles compact lights use primary and rechargeable batteries, what kind you opt for will depend on what option fits your current lifestyle. Coming in at just 1.5 inches long the LRI Photon Freedom might be one of the smallest in the EDC market, but don’t let its small size fool you. The light provides users with a steady 4.5 lumens for over a 12 hour period using one energizer lithium battery. Even in sub-zero temps, the battery will last for several hours. The LRI Photon Freedom offers four safety modes in addition to a signal/Morse code mode. Using single button operation the LRI Photon Freedom provides instant full power with full range brightness control at any time. The LRI Photon Freedom is one of the most durable lights around as it features an IPX-7 rating and an unbreakable LED, which makes it virtually indestructible. The quick release key ring that comes standard with the light you can use the LRI Photon Freedom to replace any zipper pulls on bags or jackets. The LRI Photon Freedom comes with a hands-free clip, as well as a necklace clip for those who do not wish to carry it on their keychain, although the key ring offers a quick release feature. Consumers can choose between 10 different LED beam colors, as well as 3 different body styles making the light customizable. This light is so small you might as well buy a few and attach them to zippers, then if you are a hunter, survivalist, or just somebody that likes EDC you will always have a light with you. The MecArmy IllumineX-1 is a patented rechargeable super micro-sized flashlight. The light uses a CREE XP-G2 LED to emit a maximum of 130 lumens for a period of 30 minutes. The MecArmy allows for one-handed operation through its reliable twist switch. The switch also provides instant access to High and low modes. The MecArmy IllumineX-1 is made from a high-quality titanium alloy and is available in two color choices. The light features a special custom circuit with gold plated internal contacts for high stability. 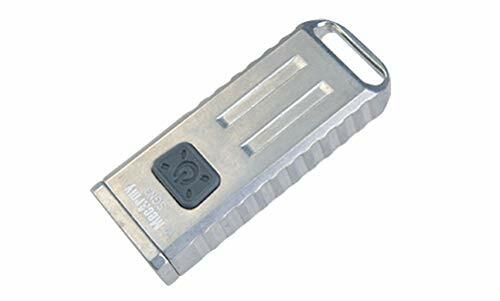 The MecArmy IllumineX-1 comes it at 1.61 inches long making it the smallest USB rechargeable light in the industry. The MecArmy IllumineX-1 uses a 10180 lithium-ion battery that is included with your purchase. The recharge the battery users need to unscrew the head and plug in a mini USB charging cable. The cable can be connected to multiple power sources. Red light indicates the battery is recharging, green indicates battery has been fully charged. Typically charging time is 1 hour. The Nitecore Tube uses a high performance LED to emit a maximum of 45 lumens. The Nitecore Tube offers instant access to high and low modes, as well as a momentary on feature. An infinitely variable brightness mode allows users to set their desired brightness level anywhere from 1 to 45 lumens. The polycarbonate design improves impact resistance of the light and aids in the lightweight design. The Nitecore Tube features a stainless steel key ring connector. The connector has the ability to hold up to 77 lbs. without breaking. As a rechargeable light, the Nitecore Tube features a high-efficiency Li-ion battery with a 48-hour maximum run time. An intelligent protective circuit technology with a blue power indicator light protects the Li-ion battery from overcharging. The wide beam has a 100-degree beam angle to illuminate your peripheral vision. A single button allows for one finger operation. 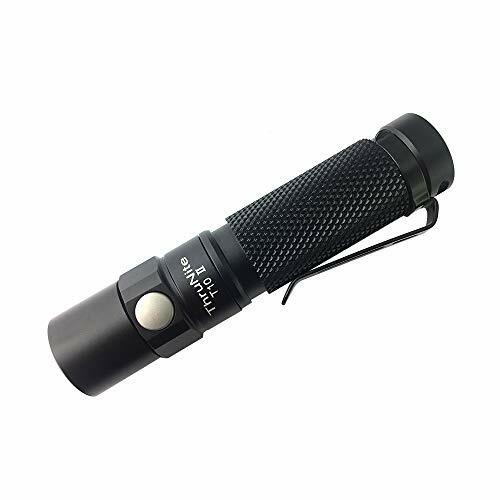 The Manker LAD 219C is a miniature flashlight designed specifically for everyday carrying. 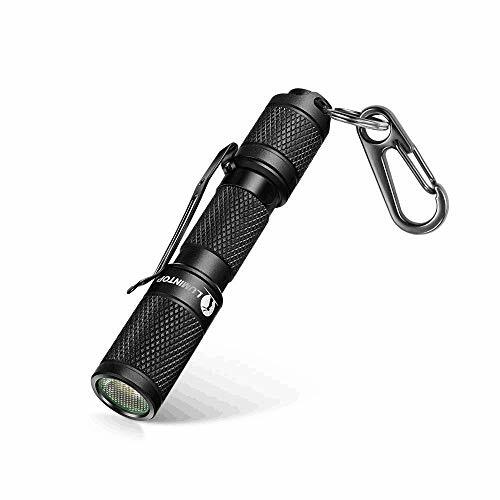 The compact light measures just 2 inches long making it easy to carry around on a keychain or inside a pocket. 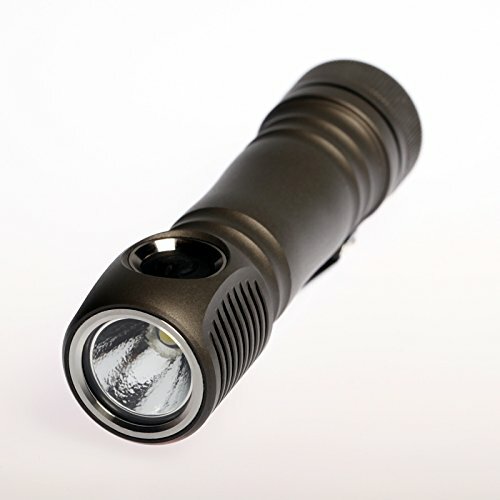 The Manker LAD 219C features a Nichia 219C LED giving the light a high CRI number. The 219C LED has the ability to emit a maximum of 230 lumens for a period of 30 minutes. The Manker LAD 219C offers users three brightness levels and a strobe mode. The Manker LAD 219C also features a 2x Red Straw Hat Led that emits 1 lumen of red light for a period of 100 hours. 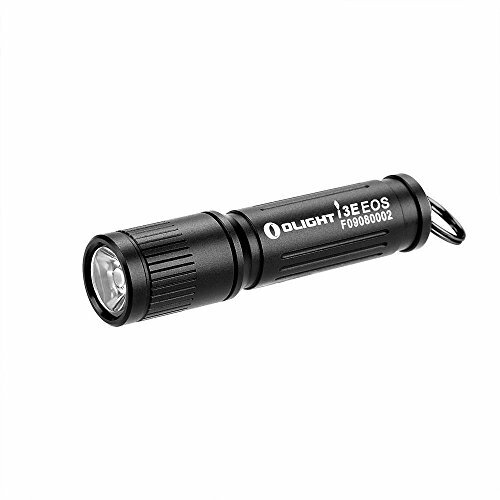 Having the different color options and this being s really durable little light it might be good as an extra little light to have around for police or outdoors-men that need to keep night vision. The Manker LAD 219C offers one-handed operation as it is controlled by a single click button switch located on the top of the light. 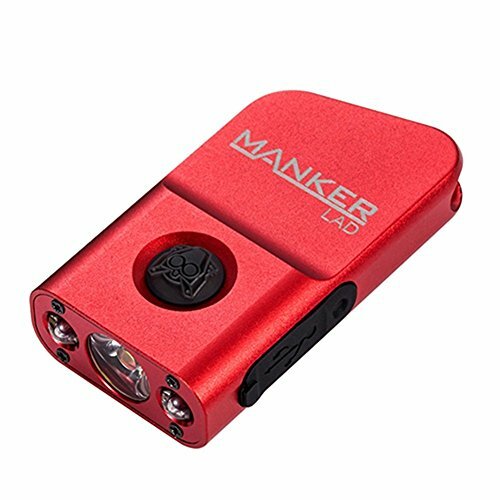 The Manker LAD 219C offers an integrally formed shape made from aluminum alloy with a built-in polymer lithium battery. The rechargeable battery can be charged with any USB charging device. The switch button also serves as a charging indicator for the Manker LAD 219C. How users know the light needs to be charged is when the light automatically switches to the Red LED. Fully charging the battery requires about 70 minutes. The MecArmy SGN3 uses a rechargeable 280mAh 410cd lithium polymer battery that comes inside the light. Charging the light is as simple as using the light, simply remove the USB port cover and insert a micro USB charging cable. The cable can be plugged into any USB charging port. The MecArmy SGN3 features built-in charging indicator light. Red means the battery is charging, green means charging is complete. The battery takes approximately 1.5 hours to fully recharge. The new Nitecore TIP 2017 is the updated edition of the original Nitecore TIP. The Nitecore TIP 2017 uses a CREE XP-G2 S3 LED to emit a maximum of 360 lumens in Turbo mode. This makes it one of the brightest keychain lights in the industry. 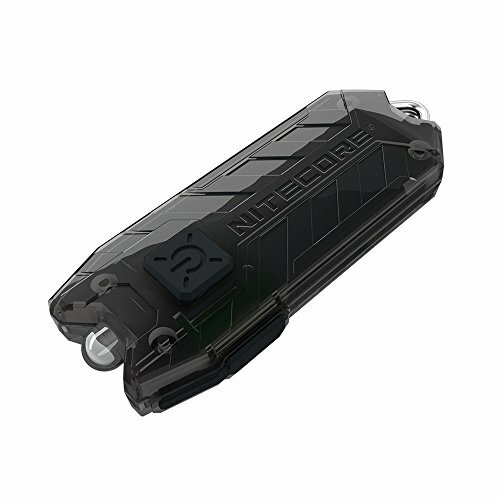 Powered by a built-in Li-ion rechargeable battery the Nitecore TIP 2017 offers four brightness levels with an 81-yard maximum beam distance using a dual switch interface. Recharging the Nitecore TIP 2017 is quick and easy with its built-in micro-USB charging port and charging indicator light. 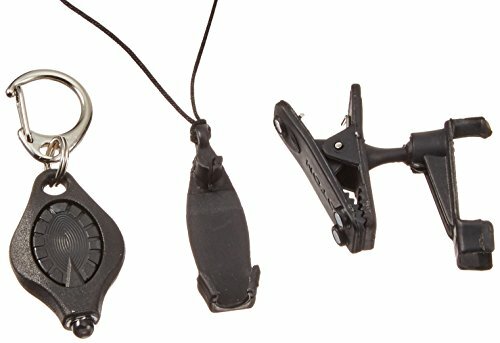 One of the extra features included with the new Nitecore TIP 2017 is the removable clip. The clip allows you to quickly and easily attach the light to stationary objects for hands-free use. The clip can be turned around to prevent accidental activation of light. Daily and Constant-On Modes have been added to the Nitecore TIP. Daily turns the light off after 30 seconds of use, while Constant on puts full control of the light in the hands of the user. With the Olight i3E not all colors are created equal. The Olight i3E comes in a handful of colors, but the silver offers the best features. The silver Olight i3E has the ability to emit up to 120 lumens of light. The other colors can only emit 90 lumens of light. Runtime for all colors will be determined by the type of battery used. A NiMH battery provides a 1 hour and 10-minute runtime, while an alkaline battery will only last for 45 minutes. 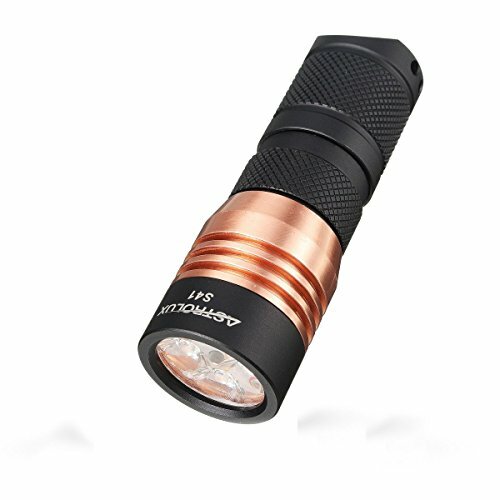 The Olight i3E features a LUXEON TX LED and a PMMA TIR lens that allows a maximum beam distance of 48 meters in the silver model and 44 meters for the others. 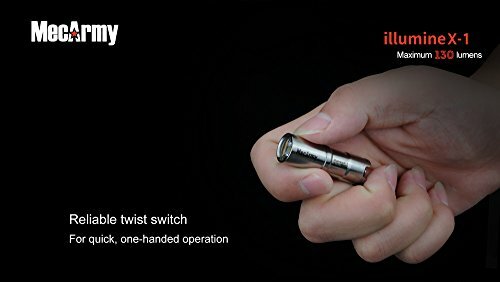 The Olight i3E uses a simple head twist rather than a clicky switch to control the light. The Olight i3E is made from an aircraft-grade aluminum body with a Milspec type-III anodizing, anti-scratch coating. The light offers a smooth body that won’t rip or snag clothes. The i3e comes with an IPX rating of 8 and an impact resistance distance of 1.2 meters. The Lumintop Tool is a compact, but powerful, light that is powered by a single AAA battery. The Lumintop Tool does not support 10440 batteries, so please do not try to use them. The light uses lithium metal batteries that come included in the light. The Lumintop Tool features a CREE XP-G2 R5 LED to emit a maximum 110 lumens with a maximum beam distance of 47m. The Lumintop Tool comes with two tail caps. The first features a rare tail push button switch allowing for one-handed operation. The light also comes with an optional magnetic tail cap allowing for tail standing or sticking the light to iron surfaces. The Lumintop Tool uses a clicky switch, unlike other small lights this one is in the form of a tail cap switch rather than a side switch. The Lumintop Tool offers users the option of three different brightness modes, all of which can be accessed via the tail cap switch or for those that prefer a twist operation tightening or loosening the head will also allow you to switch between modes. Like many pocket-sized lights, the Lumintop Tool is extremely durable with an impact resistant ability of 1.5 meters and an IPX rating of 8. Powered by a 1.2v AA battery, the Thrunite T10 features a CREE XP-L V6 LED (neutral white) or an XP-G2 (cool white) that has the ability to emit a maximum of 252 lumens. Users can expect a maximum beam distance of 65m with a peak beam intensity of 1,062 candelas. 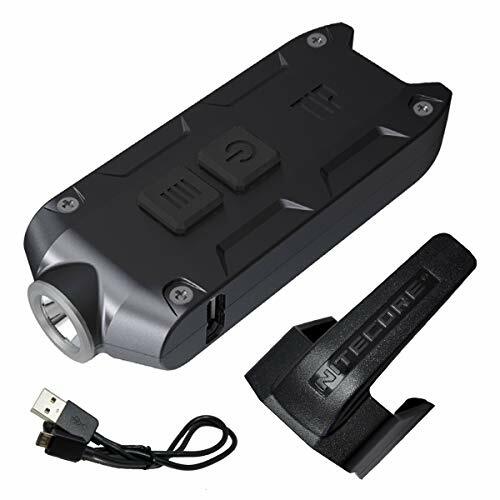 The Thrunite T10 uses an OP reflector to give the beam a perfect flood. Made from aircraft-grade aluminum with a premium type III hard anodized finish the Thrunite T10 is impact resistant up to 1m and features an IPX-8 rating. The ultra-clear glass lens has an anti-reflective coating with an OP reflector to provide a perfect flood style light. The Thrunite T10 uses a tail switch to power the light on and off. The tail switch is recessed enough to allow the Thrunite T10 the ability to tail stand. Switching between the three brightness levels offered can be done by halfway pressing the tail switch. The Thrunite T10 also features a twisty head design that powers the light and allows users another option to cycle through modes. A reversible clip allows you to clip the light to whatever is convenient. Mode memory allows the light to be turned on in the last mode used. The Olight S Mini Baton come in few different limited edition models (Stainless Steel, Copper, Titanium, and Brass) along with the standard aircraft grade anodized aluminum model with beautiful square knurling. The Olight S Mini Baton uses a XM-L2 LED to emit a maximum of 550 lumens. The cool white LED is paired with a high light transmission rate TIR Optic lens to provide a wide and broad hotspot that is ideal for up close illumination. Manufacturers claim the Olight S Mini has a maximum beam distance of 110m. The Olight S Mini can use either a single CR123 or a single RCR123A. The Olight S Mini currently comes with a single CR123 battery that CANNOT be recharged. If you wish to use rechargeable batteries you must purchase a RCR123 battery separately. 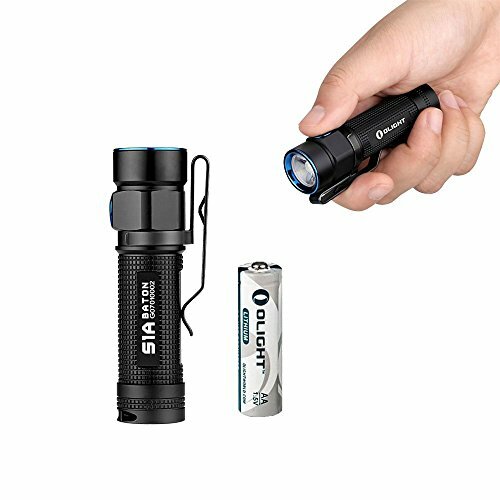 The Olight S Mini is 10% shorter and 10% more powerful than the Olight S1 Baton. Controlled via a side switch the Olight S Mini offers four brightness levels, plus strobe. Gradual brightness change allows the light to gradually fade in or out when changing brightness levels to prevent any strain on the eyes. The Astrolux S41 offers an amazing flood light for its size. Coming in around 3 inches the Astrolux S41 uses four Nichia 219B/XP-G2 LED emitters to produce a maximum of 1600 lumens. With the Astrolux S41 users have the choice between two mode sets. Each of the modes contained in the sets is very well spaced. The light comes equipped with mode memory, but users have the option to turn it off. Cycling through the modes is done via the soft touch push-button tail switch. Quick presses allow you to go up in brightness levels, longer presses allow you to cycle back through the modes. The Emisar D4 is one of the only pocket-sized 18650 lights with quad LEDs. Using the standard 18650 tube the light measures just 3.69 inches long. The Emisar D4 can be made even smaller with a 18350 or a 18500 tube. With the Emisar D4 users have can choose a Quad XP-G2, XP-L HI, or a Nichia 219C LED all of which are mounted on a copper direct thermal path MCPCB. With the Emisar D4, you might notice what appears to be a crack in the corner of the lens. This is not a crack in the optic, it is a gate crop in the Carclo optic. The light will automatically step down if the internal temperature becomes too hot. Temperature limit is user-configurable, so it can be adjusted to personal preferences. The Emisar D4 is controlled by a momentary electronic side switch. A ramping user interface provides anywhere from 0.6 lumens to 1300 lumens with 150 ramp stamps between the low moonlight mode and the highest output mode. To ramp up from low to high simply press and hold the side switch until the desired amount is found. The side switch also provides access to battery check, momentary on, lock out, temperature check, and beacon mode through a series of fast clicks. The Emisar D4 will turn on in the last mode used. Using precision machined parts the Muyshondt Aeon MKIII was crafted by hand to provide the highest quality light with attention to detail. The Muyshondt Aeon MKIII 7075-T6 is made from a strong alloy. It is as strong as steel, but as light as aluminum. The Muyshondt Aeon MKIII uses a high CRI LED to provide a high-quality light that can emit a maximum of 160 lumens. With the high CRI LED colors are seen just as they would appear in the sunlight rather than what you would see under electric lighting. The LED is paired with a custom cut parabolic reflector with an orange peel finish to provide a smooth and well-shaped beam. The Muyshondt Aeon MKIII uses a CR2 Cell battery to power the high-quality light. The CR2 Cell might be small in size, but it delivers high outputs and long runtimes. Controlled by an easy to activate rubber tail switch the Muyshondt Aeon MKIII can be operated one-handed. A full click will turn the light on or off, while a half-push will allow users to switch between modes. Gold plated electronics ensure most of the energy is converted into light rather than heat. As you can tell from this article, when it comes to choosing the best compact flashlight you have several choices. Each of the compact lights that we have listed in this article is the best in their class. For example, for compact lights under 3 inches we gave you the overall general flashlight, as well as the best budget light. Having the different choices allows you to find the best compact flashlight that is going to work for your lifestyle. Like all other flashlights on the market, compact flashlights come with several different features. As a consumer when looking for the best you have to consider all of the different features each light comes with in order to choose the best one. Some of us need a bright compact flashlight, while others need a compact tactical flashlight. The good news is there really is something out there for everyone; you just need to know what you are looking for. As always we want to thank you for taking the time to read our “Best Compact Flashlight” article. If you have time please check out all of our best flashlight articles here. For those of you that are new to the world of flashlights, we know that the terms used in these articles can be a bit confusing. If you have any questions about the terms used in this article, we ask you to briefly check out our tactical flashlights buyer guide, where you will find all of their definitions. Buying a flashlight is not something that should be taken lightly, especially if you want to buy one of the best. So, to help you out we have provided a Flashlight Comparison Guide that we hope you will find useful. The guide allows you to compare flashlights based on specific specifications, such as lumens, battery type, battery life, and so much more. If you like one of the flashlights that you read about in this article, please follow one of our links to Amazon to buy the best compact flashlight.